1950S: Stop Sign In English And Spanish. Mexican Flag Waves In The Breeze. 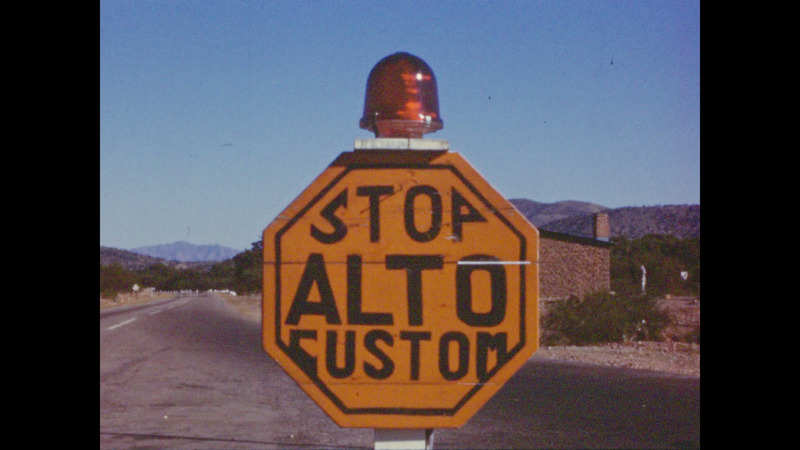 Description: 1950s: Stop sign in English and Spanish. Mexican flag waves in the breeze. Border officials look at contents of vehicle.